A display at the Newseum in Washington, D.C., dedicated to information, the press and journalism. Photo: © Maxppp via ZUMA Press. High school students often combat social media trolling by leaping before they look, jumping into heated arguments online. There’s a better way, though, that requires teenagers to imagine themselves as the trolls who are dedicated to manipulating them. Students often find themselves on the front lines of the battle against the ever-multiplying mass of inaccurate and intentionally misleading information online. Young people are tomorrow’s news creators and news consumers, and will soon make future-shaping decisions based on what they believe to be true. High school students are also teenagers, though, and while they may be technologically savvy, they are often psychologically unsophisticated and eager to be part of a cause or group — making them easy marks for the purveyors of misinformation. Only half of Americans say their schools gave them strong critical-thinking skills, according to a study released this week by the Reboot Foundation, where I serve as executive director. Related: COLUMN: What these teens learned about the Internet may shock you! A range of “media literacy” efforts have tried to address this crisis of credulity. Successful new programs take the adolescent psyche into account: Let teenagers know that there are people on the web whose goal is to manipulate and deceive them, and offer them tools to outsmart the trolls. This is, in fact, the approach taken by “Fighting Fake News: How to Outsmart Trolls and Troublemakers,” a course developed by the nonprofit Newseum and offered both in-person at its Washington, D.C., location and online. The Newseum’s so-called anti-fake-news resources feature an attitude that is fresher and more fun than the typical media-literacy lecture, perhaps because actual teenagers were involved in their development. A lesson plan offered on the organization’s website, for example, uses an investigation conducted by an NPR reporter to explore the intentions of the people who post hoaxes and other forms of disinformation. Students listen to the segment — titled “We Tracked Down A Fake-News Creator In The Suburbs. Here’s What We Learned” — and discuss with their teacher and one another why they think individuals might generate poorly sourced stories. Asking students to think hard about the motives of trolls — whether it’s to make money, help a political party or candidate, or sow division and undermine citizens’ faith in democracy — takes these young people a few steps closer to understanding the dangers that such misinformation poses to society. One hopes it may also raise hackles among participating teenagers, a demographic that is famously averse to feeling manipulated and controlled. In addition to analyzing the motives of the people who spread hoaxes, teachers can also help students understand the real-life harm that trolls can inflict. They might be told, for example, about what happened to the survivors of the Marjory Stoneman Douglas High School shooting in Parkland, Florida, last February. Within days of the massacre, in which 17 people died, fake news stories were circulating online claiming that the survivors were “crisis actors” paid by gun-control groups, were taking part in an FBI plot against the president, or were in league with financier George Soros. Some of the Parkland survivors received death threats that cited such “news” stories. Making clear to students the human hurt and fear that fake news can inflict — on peers their own age, no less — may provoke some righteous (and justified) outrage, which in turn could move them to take the problem of disinformation more seriously. Or they could be introduced to the work of Josh Russell, a systems analyst who also works as a Russian troll-hunter, helping journalists at major news outlets sort information from disinformation. Learning about the efforts of people pushing back against fake news may give high school students the sense that action is possible — and may prompt them to take a side in the battle for truth. Finally, young people who are on the receiving end of so much disinformation may find it eye-opening to see things from the perspective of those who create false stories. 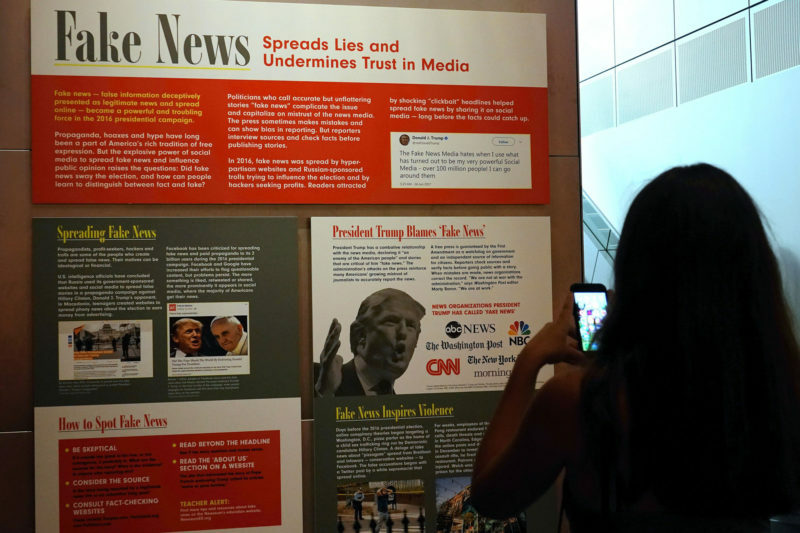 Students who participate in the Newseum’s “Fighting Fake News” course are asked to write their own false news accounts, and to compose untrue “clickbait” headlines with an ulterior motive in mind — both activities that teachers could emulate in their own classrooms. Teaching young people to think critically is essential — but such instruction doesn’t have to be dry or boring. Engaging the powerful impulses and emotions of adolescents in the struggle against falsehood is the best way to carry the fight forward. This story about teaching and social media was produced by The Hechinger Report, a nonprofit, independent news organization focused on inequality and innovation in education. Sign up for the Hechinger newsletter. 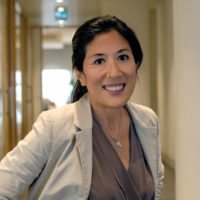 Helen Lee Bouygues is executive director of the Reboot Foundation.